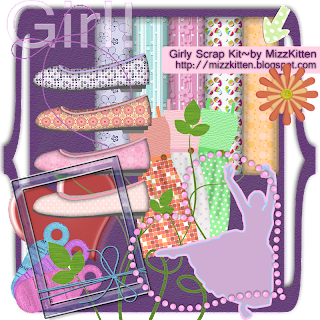 This girlie scrap kit I made last night cause I can't sleep. The influence of drugs really make me frustrated! Thank you so much for this Freebie. I want to let you know that I posted a link to your blog in Creative Busy Hands Scrapbook Freebies Search List, under the Page 14 post on Jul. 30, 2009. Thanks again.